This past weekend as we celebrated the end of summer, I decided it was also time to celebrate my finicky tomato plant’s lack of red tomatoes. With patience running low, I decided to convert the unripe, green orbs into an impromptu appetizer. 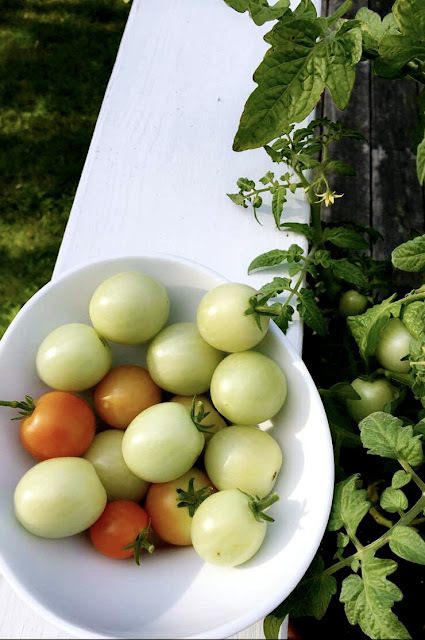 While I love to use sweet, ripe, red tomatoes in simple salads and pasta sauces, the tart, firmer green ones offer a pleasant experience when grilled or fried. I gathered a dozen of the green rolly pollies onto my cutting board and sliced them in half. For the batter, I was inspired by our Cornmeal Crusted Fried Pickles, and added a slight kick with the addition of hot sauce. In a medium saucepan, heat 2-inches of vegetable oil on medium-high to 350 degrees Fahrenheit. Slice the cherry tomatoes crosswise, and arrange them on a paper towel to dry out slightly. Next, prepare three dredging bowls: the first with flour, the second with beaten eggs, milk and hot sauce, and the third with cornmeal, breadcrumbs, chili powder and salt and pepper. Dredge each tomato in the flour, then the beaten egg, and then the cornmeal coating, making sure the tomatoes are fully covered. Set aside each tomato slice on a plate. In batches, carefully place the coated tomatoes into the hot oil and fry for 3-4 minutes until golden brown. With a slotted spoon, remove the fried tomatoes to a paper-towel lined plate and sprinkle with salt. 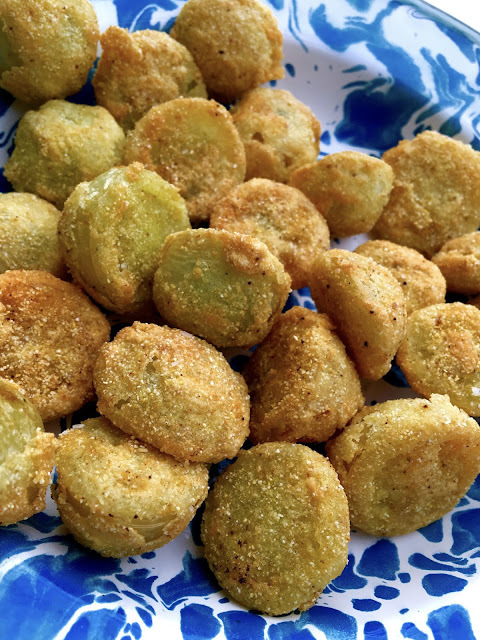 Serve immediately, Makes 24 fried green cherry tomatoes. Can’t stop won’t stop celebrating tomatoes!